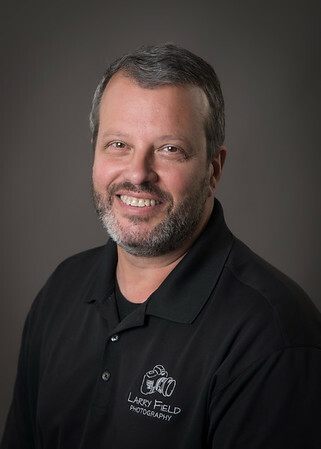 Larry is an experienced architectural photographer, specializing in Real Estate, Architecture and Commercial photography. Being centrally located, living in the College Station, Texas, allows us to easily work with clients across Texas as well as anywhere in the U.S.
We love working with our established clients over and over, and we also welcome the opportunity to meet with new clients to show you how we can help. Let us take care of all your photography needs. Working with the whole team on a project - design engineers, architects, general contractors, builders, etc. - to come up with a cohesive plan that fills everyone's needs is our primary goal. Our goal is to consistently deliver top quality images on every job we do, regardless of the cost or scope of the project. We also pride ourselves on quick delivery of the images after a photo shoot – the next morning for real estate, and within five business days for larger commercial jobs. Real estate photography rates start at $135 and commercial photo sessions start at $750. Since we only do architecture, commercial and real estate photography, full-time, we can offer more experience, and expertise in these areas, allowing us to produce the best results possible each time. Larry is a professional in every way - the manner in which he conducts himself, his business and his photography. He arrives on time to every shoot, takes stunning shots of every property and gets the pictures back to me when promised. For a real estate professional, this is highly important because we are generally on fast timelines and we make commitments to our clients based on his promises to us. Larry has never let me down in any way in the year he has been taking photos for me. He recently took aerial photography of one of my rural properties.The pictures came out beautiful and my clients were thrilled. I would highly recommend Larry for his real estate photography. Larry came recommended to me from a local builder in town, and he has been great to work with! He responds quickly to calls and texts regarding appointment times and is flexible if I need to reschedule an appointment. He always has his photos to me within 24 hours of a photo shoot. He is professional in front of clients and the photos are a marketing piece I'm proud to present to them. Larry is my go to photographer for local real estate photos. I have been using Larry for quite some time now to do all of my real estate photography. With the real estate market moving as fast as it does, I need someone who is fast, great at his job, and dependable. Larry is all of that and more. His photos are consistently good. He is very conscientious and makes sure we are pleased with the final product. I am thrilled that I have a photographer that I can count on to make my listings look awesome! I use Larry Field for every listing! Larry uses professional lighting to ensure crisp, appealing images. He edits the images to provide me with a complete set of files that are the right size to easily load into MLS and other listing platforms. Always delivered within 24 hours! My clients are delighted when they see the images of their home. Larry makes my clients' homes look good - and in turn, he makes me look good! We have worked with Larry Field for several years and we couldn’t be happier with his work. He is always consistent and works with my short notice scheduling and then blows me away with his turn-around time! Larry is a great real estate photographer. Larry Field is an astounding photographer. He takes the time others don't to ensure everyone get exactly what they are looking for. In the real estate world, photos are one of the most important aspects. They portray what your home has to offer and Larry goes above and beyond to guarantee every angle and shot depicts a homes characteristics accurately. Larry also surpasses all other photographers willingness to make certain his work meets your standards, no matter how many trips or shots it may take. Best in town by far!